The Department of Recreation in Albany awarded Church volunteers for removing litter from Swinburne Park and Livingston Park, a gesture of servitude to the community. 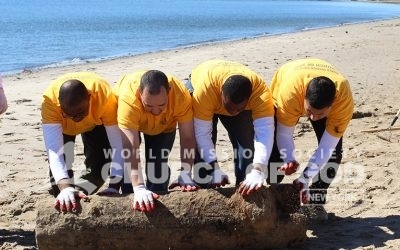 Church of God volunteers cleaned up Spring Creek Park in Howard Beach, removing over seven tons of litter and debris. The Church of God hosted the New Windsor Summer Festival 2016, inviting families to enjoy a fun-filled day while supporting U.S. troops deployed overseas. On June 15, 2016, the Church of God in New Windsor organized an Appreciation Dinner for the Vails Gate Fire Department at the fire station. 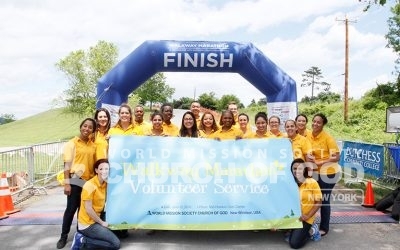 In bright yellow shirts and brighter smiles, members of the Church of God in New Windsor volunteered at the second annual 2016 Walkway Marathon. On June 5, 2016, the Cystic Fibrosis Foundation hosted Great Strides in Foley Square. 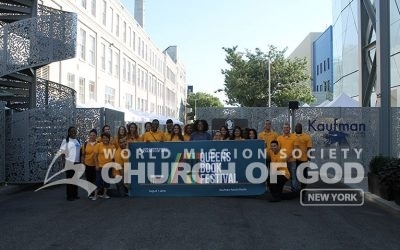 Church of God volunteers help the 5K walk be a success. 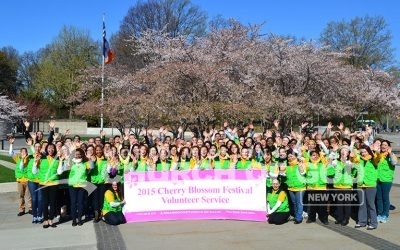 Members of the World Mission Society Church of God gave a warm welcome to visitors of the Brooklyn Botanic Garden’s annual Cherry Blossom Festival.